First off, I debated on which song to choose for a while because, honestly, I can’t hear the word “comeback” without thinking of LL Cool J’s classic hit, “Mama Said Knock You Out.” In fact, I just got distracted by writing that and had to go listen to it before I could continue. However, I did go with the b.reith song for a couple reasons I’ll get to later. Before that, it’s time for a book review. Louie Giglio is well known in Christian circles (and there was that nasty little thing was the President’s prayer breakfast). You could say he’s been here for years, but then you might get side tracked again, so I wouldn’t recommend that. Anyway, he is known primarily for his role within the Passion movement, the genesis of which he actually recounts at the beginning of this book, and his public speaking engagements. 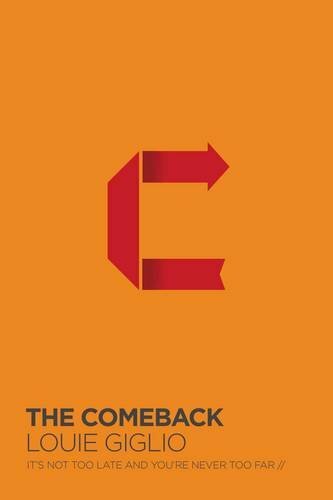 THE COMEBACK captures one such teaching series and small group study topic on page.